The most recent example of this was the case of Dakota Stiles, a 3-year-old who drowned last month in the pool of an Indian River home. Two weeks before his death, DCF was called because his mother, Summer Stiles had no idea her toddler was missing when deputies returned him, saying he had been in a neighbor’s yard for an hour. After visiting the filthy home, DCF concluded that the child was safe and there was nothing to worry about. But, results from a new study show that DCF may be able to pass some of the blame along to the economy and DNA of the abusive and neglectful mothers like Stiles. The study, conducted by researchers at New York University, Columbia University, Princeton University, and Pennsylvania State University’s College of Medicine showed that economic hardship, both personal and societal, lead mothers to engage in harsh parenting. But, the study had another twist. Only mothers with what scientists call the “sensitive” allele, or variation, of the DRD2 Taq1A genotype (which controls the synthesis of dopamine, a behavior-regulating chemical in the brain) are affected by economic downturn. Mothers who didn’t have this allele were not affected by tight wallets. “This finding provides further evidence in favor of the orchid-dandelion hypothesis that humans with sensitive genes, like orchids, wilt or die in poor environments, but flourish in rich environments, whereas dandelions survive in poor and rich environments,” Irwin Garfinkel, a co-author of the paper and a professor at the Columbia University School of Social Work, said. Perhaps Destene Simmons, a Coral Springs mother who is suspected to have killed her four-year-old son, Antwan Hope, Jr. has this allele in her DNA. Of course, there could be a myriad of other factors to blame, but this study gives scientists a clue to one possible culprit of this tragedy and others like it. The study used data from a population-based study of 5,000 children who were born between 1998 and 2000 in 20 large American cities. Mothers were interviewed at different times in the child’s life and data was collected on parenting behavior. 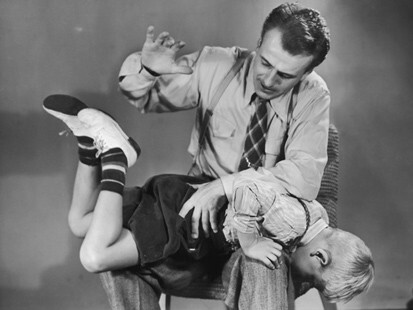 “Harsh” parenting was described at worst as spanking and slapping. Although their definition of harsh isn’t as bad as the extreme abuse examples I’ve highlighted above, it would still be interesting to research further into this link. The parenting behavior data was then compared to yearly economic reports of the cities in which the mother’s lived. Harsh parenting behaviors were specifically linked to high unemployment rates and uncertainty with the economy. “People can adjust to difficult circumstances once they know what to expect, whereas fear or uncertainty about the future is more difficult to deal with,” Sara McLanahan, Princeton’s William S. Tod Professor of Sociology and Public Affairs and a co-author of the paper, said. In conclusion, I do believe DCF is very much to blame for not closely monitoring at-risk children, but perhaps recently resigned secretary David Wilkins can defend his decision to leave amidst the pressure by blaming the economy and sensitive mothers. ← Wearing goggles to surf: Kook status or Florida Red Tide?